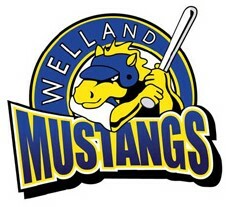 Welland Minor Baseball has been struggling to get enough field time from the City of Welland to accommodate our regular summer season schedule and our winter indoor program for to long. The City of Welland has launched a Parks, Recreation & Culture Master Plan and we need our members to show support for baseball in our city. We are in desperate need of another baseball diamond like the current Memorial 2 diamond at Memorial park and we need a equal opportunity to rent field time at the Young's Sportsplex for our Winter indoor program. The current planned redevelopment of Memorial park does nothing to support the needs of WMBA despite the input of board members in the planning process. The plan that was released by the city looks nothing like the draft that was put together by the group of community organizations that were involved in the planning process. When it comes the use of the Young's Sportsplex, I have been told that even if I was to book time slots well in advance of the start date of our winter indoor baseball clinic, the soccer organization has priority over our league and we could be forced out. We were not able to offer a clinic this past winter because of this issue. We should have equal rights to the use of a community facility. We need our members to speak up and support our needs so we are able to offer a organized minor baseball league to all the youth within our community that want to play ball. Please take a few minutes to fill out this online survey https://yourchannel.welland.ca/prc-master-plan and leave a comment to let the city know of our needs. I also ask you to join me at the community discussion/open house on April 25th from 4 to 7pm at the Wellness Complex, 145 Lincoln St. This is a drop in event, you can show up at anytime between 4 and 7pm. I will be there from start to finish, talking to the community members that attend and informing them of what Welland Minor Baseball needs to continue to offer baseball to the youth of Welland. If you are unable to attend the open house but would like me to put a note on your behalf on one of the proposed developments or on the comments/concern boards that will be on display please send it to me in an email. All comments posted on the boards at the open house are anonymous. On April 15th, myself and another board member will be attending a stakeholders meeting with the city to provide our input on what needs to be developed in our community to support our organization. If you would like to support us or would like me to present a concern regarding baseball at that meeting please send me a email with your input and I will bring it with me to the meeting.